For many sleepers, a night’s rest is only as good as the pillow they’re sleeping on. That being said, you don’t want to have to spend an arm and a leg to get that rest. 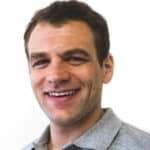 Assuming that you don’t suffer from neck or back pain, you’re just looking for a great pillow at a great price that won’t go flat on you in 2 months like all the rest. Sound familiar? If this sound like you, take a look at the MRSHMLW Pillow (aka Marshmallow Pillow). 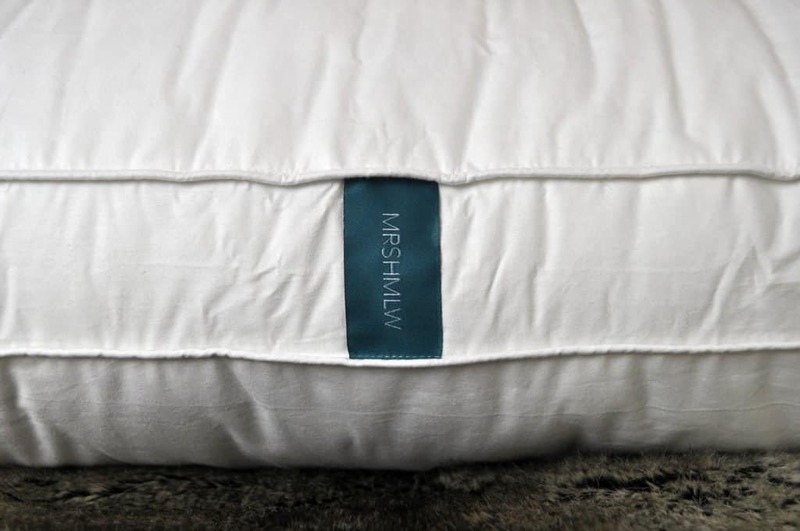 This MRSHMLW Pillow review breaks down its construction, cover, and overall feel to help you determine if this pillow would be a good choice for you. In a rush? Click here to jump right to the summary at the bottom of this review. The MRSHMLW pillow is designed to be a simple, well-made alternative to traditional down. The interior is a hypoallergenic, synthetic filling with a 100% cotton outer casing. 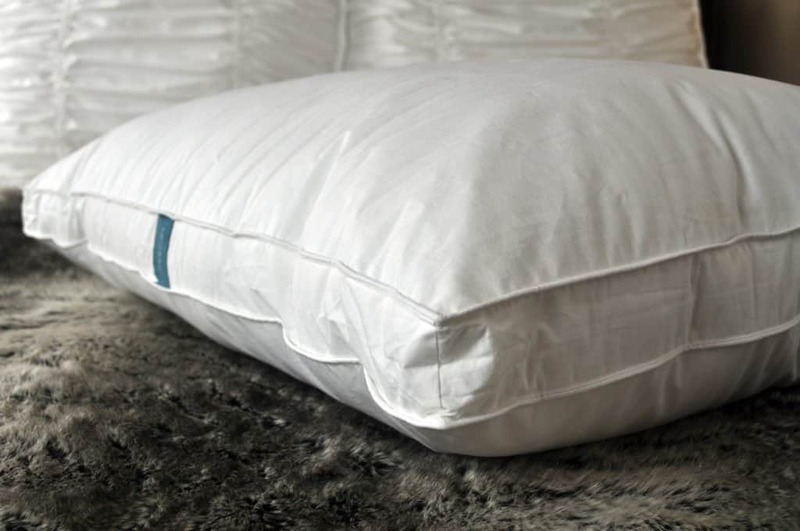 The pillow itself is 20” x 28” with a 2” gusset, which helps make the “Marshmallow Pillow” worthy of its name, being something that you can really sink down into. 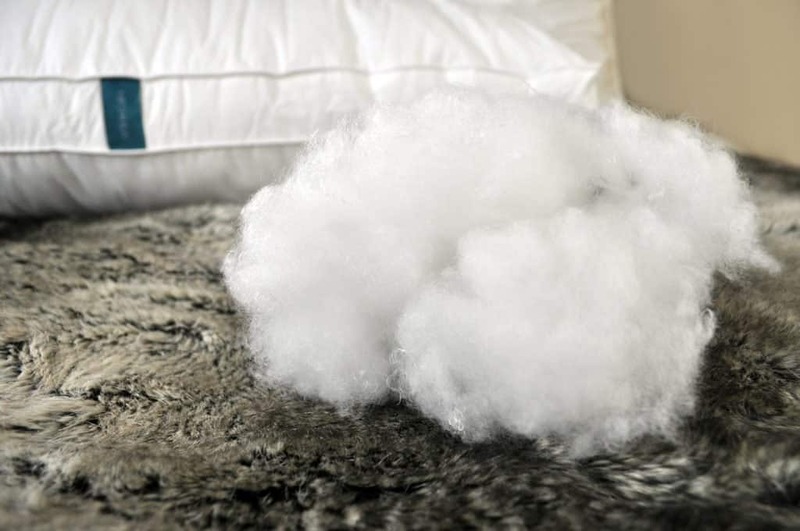 The whole pillow is also machine washable, but may need some extra “fluffing” after the dryer cycle. There is no removable cover to this pillow. The cotton casing helps to keep its form, but in the event of a spill, you’d have to throw the entire pillow into the washing machine. If you’re looking for a pillow that’s soft to the touch with a lofty body, this may be a great fit for you. Overall, I enjoyed the marshmallow pillow; the interior fill was lightweight and did not retain a noticeable amount of heat throughout the night. It was comparable to the feel of a traditional down pillow and at only $29, it’s a steal of a deal. Despite the initial comfort, I have to note that there is quite a bit of compression to the interior fill when you lay your head down onto it. I found myself wanting to fold the pillow or put my arm under it in order to keep my head from compressing so far down. The MRSHMLW Pillow offers decent support to your neck and spinal column, although if you are looking to address specific pain and ailments, you may be left wanting more. Regardless of your sleeping position, I would recommend this pillow to most people looking for a nice basic down alternative. Plus, at only $29, it’s a great deal and is going to be hard to find a better pillow for less money. Who should buy the MRSHMLW pillow? 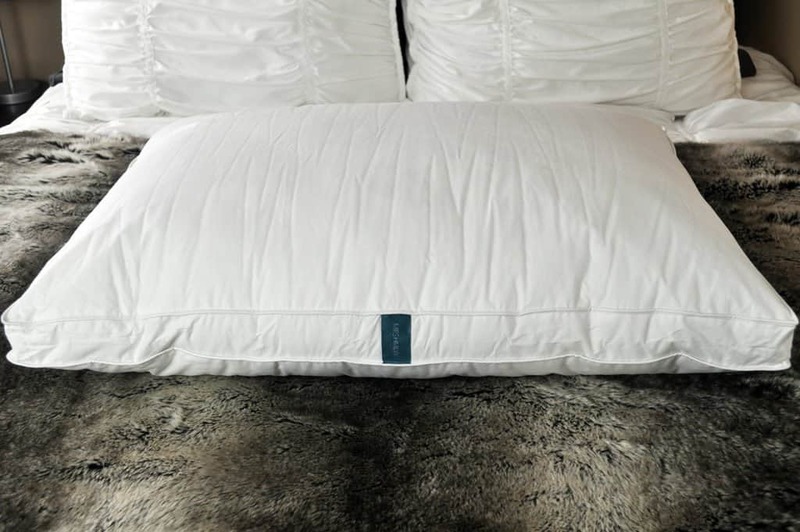 Want a down alternative pillow – There’s some really great qualities of traditional down, but a good synthetic blend, like the MRSHMLW pillow, can give some of the same feel and support, without the high price tag or natural irritants that come with a real down pillow. Want a budget-friendly pillow – At $29, it’s hard to beat the overall comfort of this pillow. It’s made well with high quality synthetic materials. Want allergy relief – This pillow uses a blend of synthetic hypoallergenic materials to create the interior fill for this pillow which is an excellent option for allergy sufferers. For more information or to buy visit MRSHMLW on Amazon.com. All in all, the MRSHMLW Pillow is a nice pillow if you’re looking for a down alternative for just the right price. At only $29, you get the synthetic richness of down alternative at a fraction of the cost you would pay for real down. Also, if you suffer from allergies, this hypoallergenic blend could be just the ticket to nighttime relief.